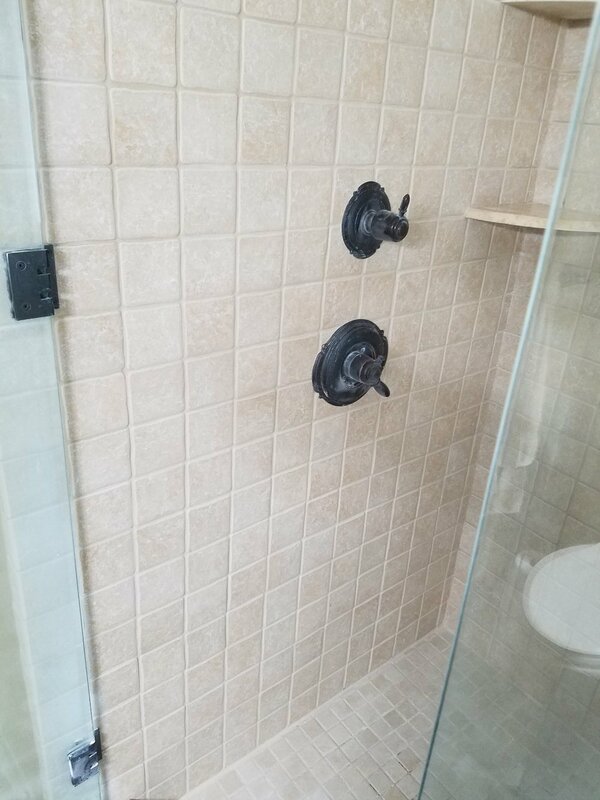 Loose tiles have come off during a regrout. Restoration Tile and Grout technicians are highly trained in the removal and replacement of damaged tiles. Tiles can become chipped or broken in a variety of ways. All it could take is dropping a shampoo bottle, hitting the tile at the wrong angle can cause it to crack. In some cases these cracks can be filled with our patching epoxy. However, if the crack is unable to be filled the tile will need to be removed and replaced with a new tile. Missing tiles have been replaced and new grout applied. Awaiting final cleaning.